MRM Capital Holdings & Investments and its global network of associates provide strategic advisory services that maximize investment opportunities through our Merchant Banking and Financial Communications divisions. MRM Capital Holdings’ team has decades of combined experience in structuring corporate transactions for long-term viability as well as generating market visibility and investor awareness to enhance shareholder value and support funding. MRM Capital Holdings’ services are designed to identify and assist undervalued companies as they reach commercial success. Ability to raise substantial equity and debt capital from private high net worth individuals and institutional resources for real estate acquisitions, mezzanine debt, bridge financings and various secured debt financings. Distressed Real Estate debt and REO acquisitions and placement and bridge financing transactions are currently being sought. Immediate capital available for appropriate transactions. MRM Capital Holding’s Private Equity and Merchant Banking Division invests in corporate assets throughout the United States with a particular emphasis on the West Coast through its Strategic Investment Area (SIA). Investments are made directly, on behalf of MRM Capital Holding’s and its Affiliates, and in some instances through syndication with other industry investors or individual investors that MRM Capital Holdings has a working relationship with. MRM Capital has aggregated highly experienced professionals into a formidable financial team to provide a broad spectrum of services for finding specific capital and debt solutions, in addressing specific investment needs for a wide variety of investment opportunities. We understand the timely challenges and demands of various investment opportunities , as they arise, and possess various strategic planning and consulting expertise to quickly determine value-added solutions for our clients. MRM Capital Holdings has a well established and valuable network of top-tier professional relationships assembled over the past 30 years—relationships that allow us to source deals, identify opportunities and arrange specific capital solutions effectively, and it is these relationships that have benefited our many individual clients and portfolio companies. Matthew E. Avruch is the principal founder and Managing Partner of MRM Capital Holdings & Investments Inc. brings a wealth of experience to the firm. 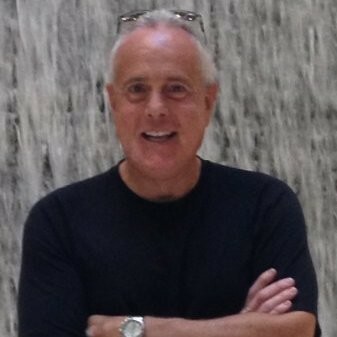 With over 40+ years of Wall Street, Corporate and entrepreneurial success in the real estate and financial services industry, his background includes raising capital for commercial and residential real estate projects, both locally and nationally, through a variety of public offerings, syndications and private placements.